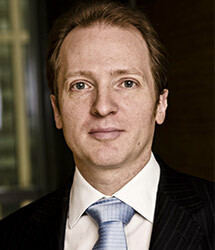 Jonathan Woetzel is a senior partner of McKinsey & Company. He is the global leader of its Cities Special Initiative and the Asia-based Director of the McKinsey Global Institute. As McKinsey’s leader in developing its China practice, Dr. Woetzel opened the Shanghai location in 1995 and has been resident since then. He has also worked in the Hong Kong, New York, and Zurich offices, and currently divides his time between Shanghai and Los Angeles. Dr. Woetzel has extensive experience in developing strategies and organizations for both industrial and consumer companies. Industries of particular interest include energy, mining, infrastructure, health care, telecom, and airlines. He has led many of the Firm’s most significant engagements including the first major international listing of a Chinese company, the revitalization of Nanjing Road in Shanghai, and our global client service to the world’s most significant resource company for the past 15 years. Dr. Woetzel also advises national and local government authorities on urban and economic development and reform issues. He has developed economic plans for over 40 cities globally including Dubai, Moscow, Singapore, Seoul, Shanghai, Wuhan, and Shenzhen, among others. Globally he advises government leaders in Russia, Saudi Arabia, Southeast Asia and the United States among others on sustainable growth strategies. In 2008, Dr. Woetzel authored the report China’s Urban Billion, still the most rigorous analysis of China’s urbanization trends. He then launched the Urban China Initiative along with Tsinghua University and Columbia University to catalyze the next stage of China’s urbanization by supporting world-class research on China’s key urban challenges. Dr. Woetzel has authored five books on China: China’s Economic Opening to the Outside World (Praeger, 1989), Capitalist China: Strategies for a Revolutionized Economy (John Wiley, 2003), Operation China (Harvard, 2006), One Hour China (Towson Press, 2014) and One Hour China – The Consumer Book (Towson Press, 2015) and coauthored No Ordinary Disruption (Public Affairs, 2015). He holds a Ph.D. in political science from the University of Southern California, where his work focused on China’s political economy. Dr. Woetzel, a U.S. citizen, is proficient in Mandarin, Spanish, and German, and is the proud father of Dominic and Taylor Woetzel.